There's a lot to learn about pregnancy and parenthood. 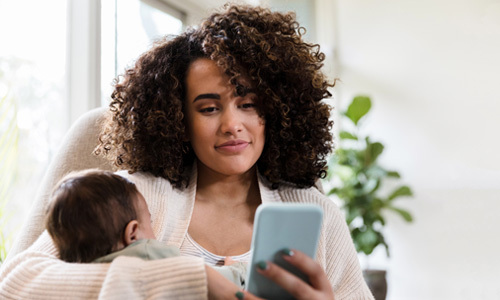 Whether you are newly pregnant, about to deliver, or settling in with your new baby, learning what to expect can help you feel less nervous about becoming a new parent, so you can focus on enjoying every experience. Sign up for the Belly to Baby Newsletter! Sign up for our free Belly to Baby Newsletter and we'll send you information throughout each stage of your pregnancy and baby's development, up until baby's first birthday. We can send the newsletter through email or text, whichever you prefer! Pregnant women and mothers of babies up to 1 year. Click here to register. Your first issue will arrive shortly. Download our Sing to Me lullaby album for free!